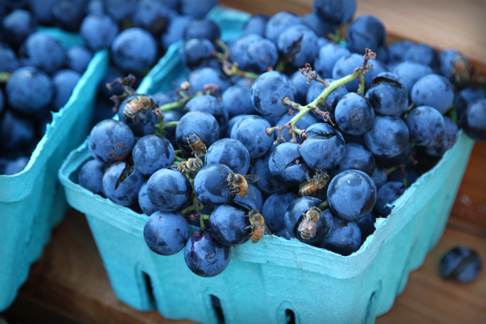 This Saturday we followed the other New Yorkers, who were following the bees, to find the sweetest concord grapes in the Greenmarket. Whereas other’s were simply shooing the bees away from their chosen baskets, I have to admit that I asked for some help in dealing with the crowd of buzzing insects–cherry-picking some of the best of what was left at the end of the market-day. We truly owe those bees a thank you. These grapes were practically a blend of honey and grape jelly. Ashley’s parents are coming into town tomorrow for a week-long visit–we’re looking forward to sharing the city with them once again.